MultiBrief: What’s next for hotel mergers and acquisitions? What’s next for hotel mergers and acquisitions? In mid-January, Wyndham announced that it would purchase La Quinta’s franchise and management business for $1.95 billion. Currently, Wyndham Worldwide operates more than 8,100 hotels in 79 countries, with a total room inventory of more than 705,700 rooms. The company’s portfolio includes 19 brands, ranging from the economy segment, such as Super 8 and Days Inn, to the upscale and luxury segments, such as Wyndham Grand and Esplendor Boutique Hotels. Wyndham’s award-winning reward program has 53 million members. La Quinta Holdings Inc., the franchise and management business of La Quinta, runs more than 880 properties in 48 states in the U.S., Canada, Mexico, and Honduras. The brand focuses on midscale and upper-midscale segments, with about 87,500 rooms. La Quinta’s frequent traveler program has 13 million members. Wyndham’s acquisition will help the company strengthen its performance and market share in the midscale and upper-midscale segments. Wyndham will become another giant hotel chain, running about 9,000 properties, 20+ hotel brands, and 800,000 rooms. By comparison, the world’s largest hotel chain, Marriott International, operates more than 6,400 hotels in 126 countries and territories after its merger with Starwood Hotels and Resorts. Marriott’s portfolio includes 30 brands, largely focusing on the upper midscale, upscale, and luxury segments, providing a total of 1.2 million rooms. The company has more than 100 million combined loyalty members. AccorHotels purchased Fairmont Raffles Hotels International for $2.7 billion and Onefinestay for $168 million in 2016. Accor Hotels Group now operates more than 4,200 hotels in 95 countries, with 600,000 rooms. The company’s portfolio includes 20+ brands, with a wide range of products. Accor Hotels’ loyalty program has about 27 million members. Intercontinental Hotel Group (IHG) acquired Kimpton Hotels & Restaurants for $430 million in cash in 2014. IHG now runs 5,000 hotels in nearly 100 countries and territories, with more than 744,000 rooms. IHG’s 12 brands cover from the midscale to luxury segments. The IHG reward program has more than100 million members. In conclusion, four of the five world’s largest hotels, namely Marriott, Wyndham, InterContinental, and Accor, were all involved at least one merger or acquisition in the last five years. Meanwhile, let’s not forget about Hilton, another of world’s largest hotel chains, which was purchased by The Blackstone Group for $26 billion back in 2007. It appears that the world’s top five lodging companies grew through mergers and acquisitions. Does that mean bigger is better? Mergers result in fewer competitors in the market. By combining different frequent traveler programs, hotels can reach a larger customers network with an even bigger loyalty program. With more brands in the portfolio, a hotel chain can also offer a more diverse mix of products and services to consumers. Companies can further combine resources and cut operation costs through consolidations. In the case of Wyndham, for instance, the company is expected to see an increase of revenue at $55 to $70 million through cost savings and revenue growth. In other examples, hotels can also acquire the business intelligence from their competitors, resulting in huge savings in product development. Kimpton Hotels and Restaurants, for example, can help IHG strengthen its market position in the boutique hotel segment. Likewise, Marriott can benefit from Starwood’s business insights about boutique hotels and millennials. I feel positive that the merger and acquisition trend will continue. Then, will Hilton be the next since it is the only world’s top five lodging companies that has not made a move since 2007? While the other four top five lodging companies have recently acquired other hotel chains, will they want to buy more as long as they have enough cash flow? How about Hyatt Hotels? Hyatt recently announced a plan to sell its $1.5 billion worth of real estate to pursue an asset-light strategy, and it will have the cash flow. Hyatt’s new partnership with the Oasis Collection also indicates the hotel is interested in new opportunities, including short-term residential rental business that can help the hotel compete with Airbnb. From a business standpoint, what are the advantages and disadvantages for hotel mergers and acquisitions? 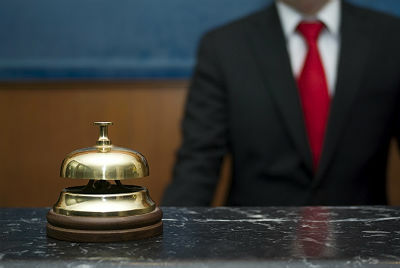 Who will be the next in the wave of hotel mergers and acquisitions?